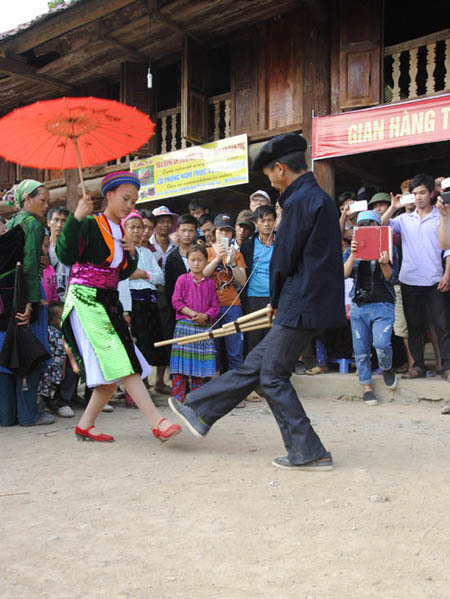 27/3 on the lunar day, the pair dating back undone in Khau Vai love market sessions to be seen, to inquire about the health, life and each other ... or three cups of wine to drink chips. It is fair to praise love couple in the morning with a radial in the community. Part Mass: Offertory up his shrines, temples her, expressing moral "drinking water, remember its source" merits remember those who have exploited the land of Khau Vai. Honor the innocent faithful couples love. 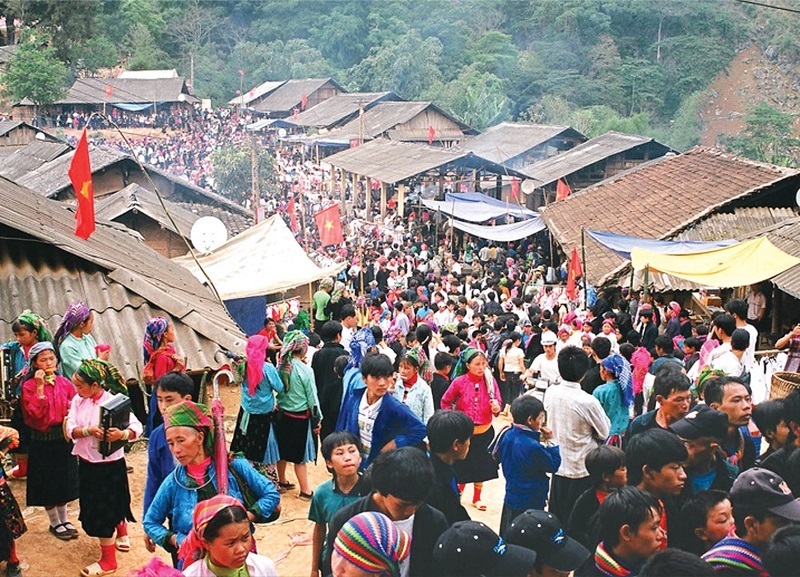 Master of ceremonies is the last village in the commune authority representatives offered incense sought permission to organize the festival. 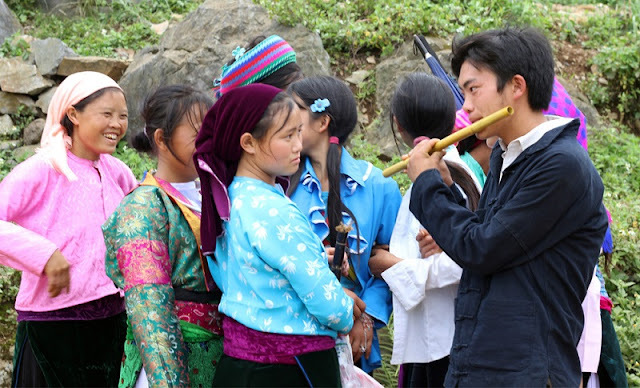 Feedback: After incense, ritual ended, the Assembly declared holidays this time of cultural activities, traditional sports are the young men and women together funding. 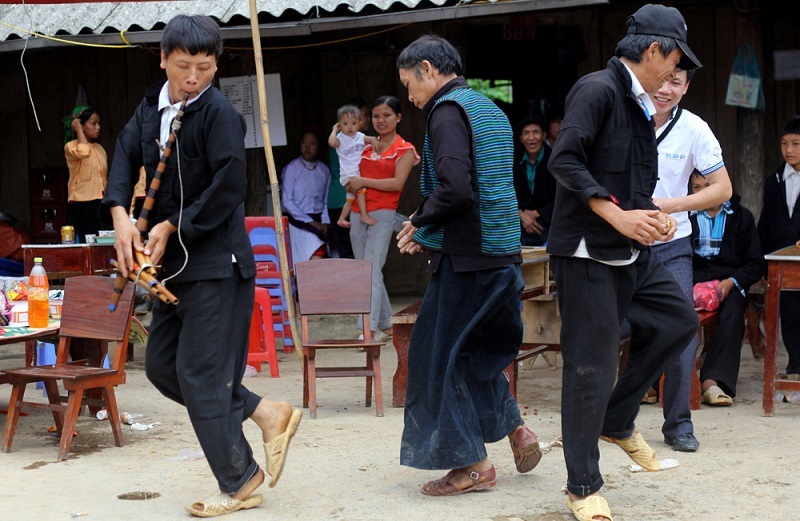 H'Mong boys and girls together dance trumpeters and dancing cats. The boy shows his ability to play the flute to exchange flirtatious girls. 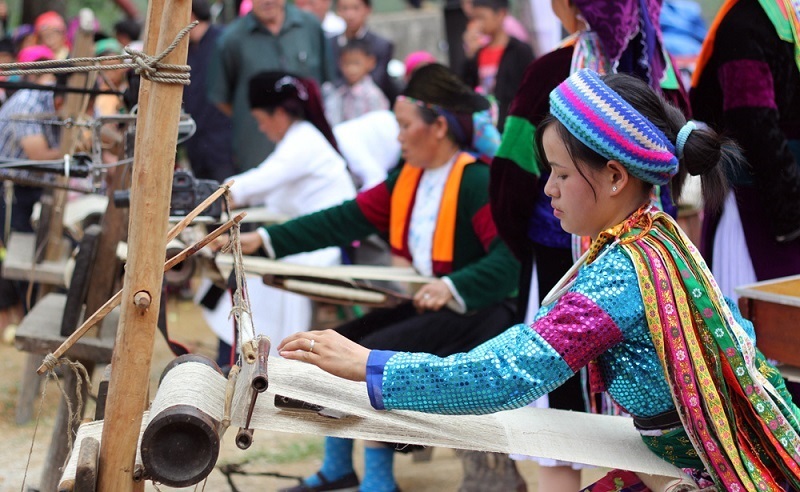 The cultural activities in the market situation was also partly reflect its own culture full of traditions of the highland people. 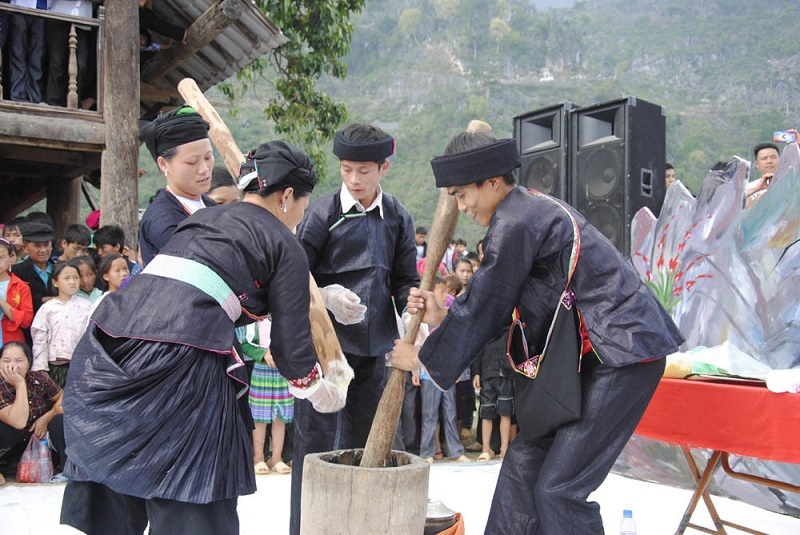 The boys and girls who are retired Nung cake. 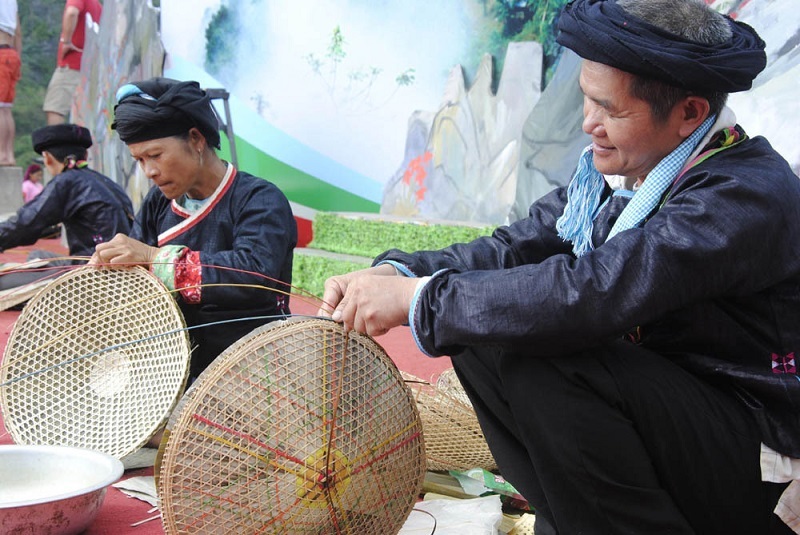 Giay ethnic knitting hats leaves are racing. 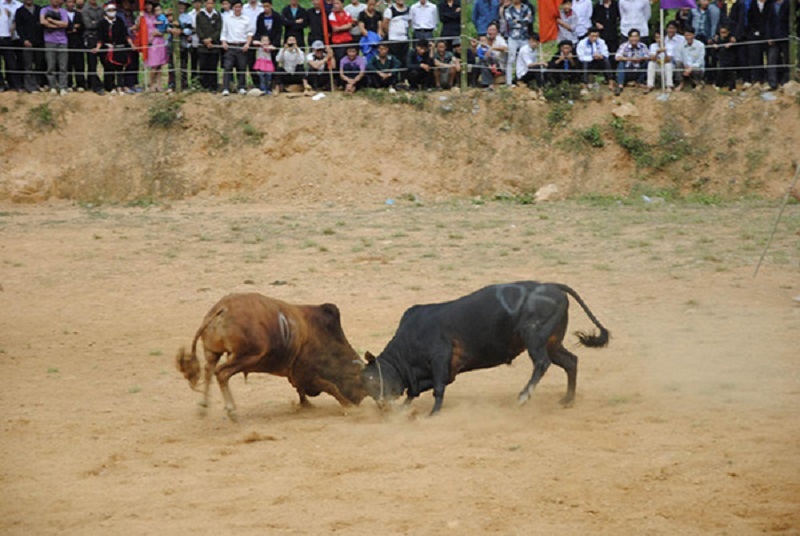 Buffalo Fighting Festival attracts the participation and monitoring of many tourists. 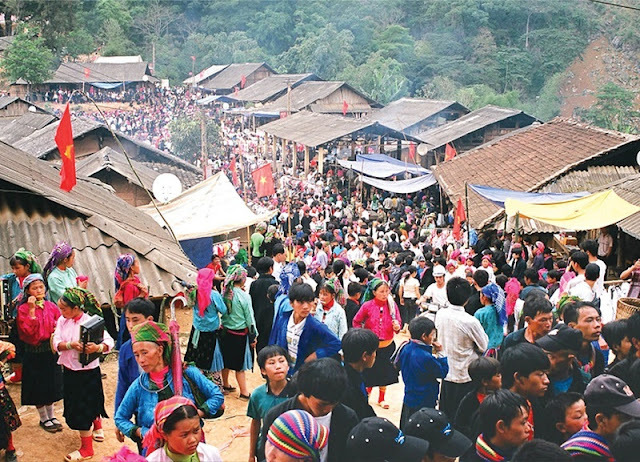 Khau Vai love market to Ha Giang travel outside participation in cultural activities of the upland people guests will also enjoy the specialties and hot taste of wines.